This web site is about the Women's Memorial at Arlington National Cemetery. The Women's Memorial is a unique, living memorial honoring all military women - past, present and future - and is the only major national memorial honoring women who have served in our nation's defense during all eras and in all services. Work on the Memorial was in progress for about 11 years and it was dedicated October 18, 1997. Some 200,000 people visit the Memorial annually. 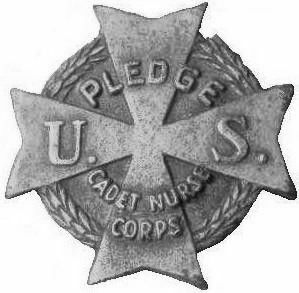 U.S. Cadet Nurses may register at the Women's Memorial, or, if deceased, a relative may register them on their behalf. Download the registration form here.